Jeannie Seely places a memorial cross near the Briley Parkway exit in Nashville on the 25th anniversary of the car accident there that claimed Dottie West’s life. 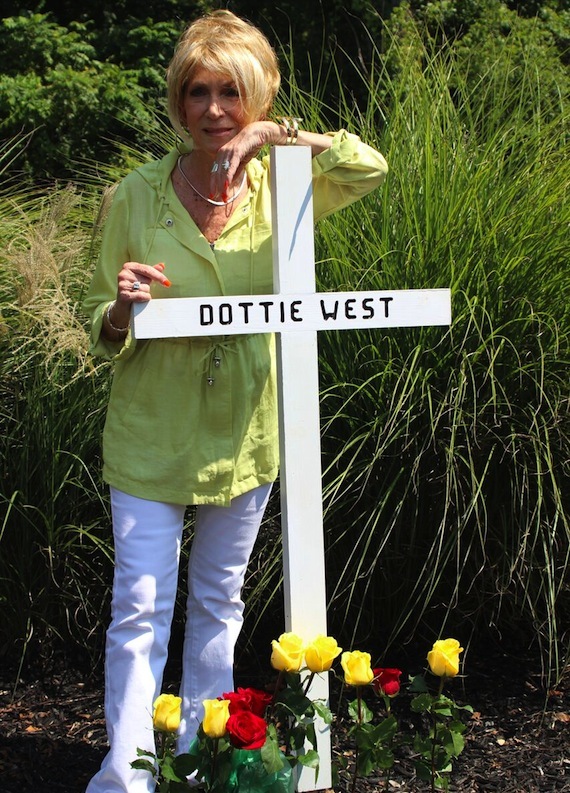 Grand Ole Opry star Jeannie Seely paid tribute to her friend Dottie West on Tuesday (Aug. 30) with a memorial cross on the 25th anniversary of the car accident that claimed the entertainer’s life. Seely placed the cross at the Briley Parkway exit on Interstate 40 in Nashville where the crash took place in 1991. West was a passenger in the car, driven by an elderly neighbor who was driving her to the Grand Ole Opry. West died from injuries sustained in the crash on Sept. 4, 1991. West recorded 15 Top 10 country hits in her extensive career, including two duets with Kenny Rogers. She is buried in McMinnville, Tennessee.